With a distinct nod towards the Bauhaus dictum: form follows function, Atrio Classic is a harmonious blend of cylindrical forms and the finest GROHE technologies. Look further and you’ll see the collection offers a choice of two handle styles – Ypsilon tri-spoke handles or elegant Jota lever handles, further enhancing its universal appeal. Atrio Classic, for today and for tomorrow – because classics are designed to last. Your comfort is our priority. The ergonomic design of Atrio Classic with Ypsilon handles is backed up by advanced GROHE headparts – to ensure the smoothest turning possible. Atrio thermostatic mixers ensure the temperature you select remains constant for the duration of your shower. No shocks, no surprises, just a constant stream of perfectly mixed water at the temperature of your choosing. Classic design and timeless spa materials – the perfect marriage of beauty and comfort. And just like Atrio Classic, our Rainshower® head shower makes itself at home in a wide range of different environments. Welcome to GROHE BestMatch! In a few clicks, you will find your perfect combination of washbasin and faucet. Over 3000 combinations have been tested in the GROHE Lab so you can be confindent to find your Best Match resulting in optimal water delivery, highest comfort and best design match. 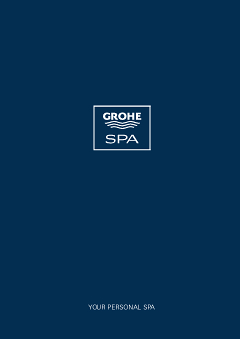 GROHE offers a wide choice of coordinated showers and bath accessories.